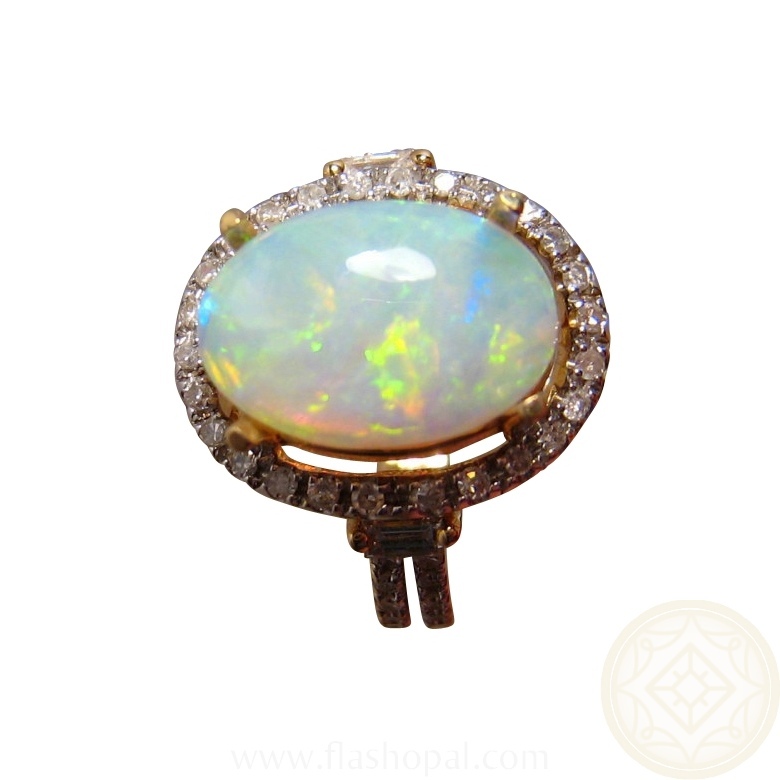 Yellow and Green Colors in this Semi Crystal / White Opal and Diamond Ring in 14k Gold. 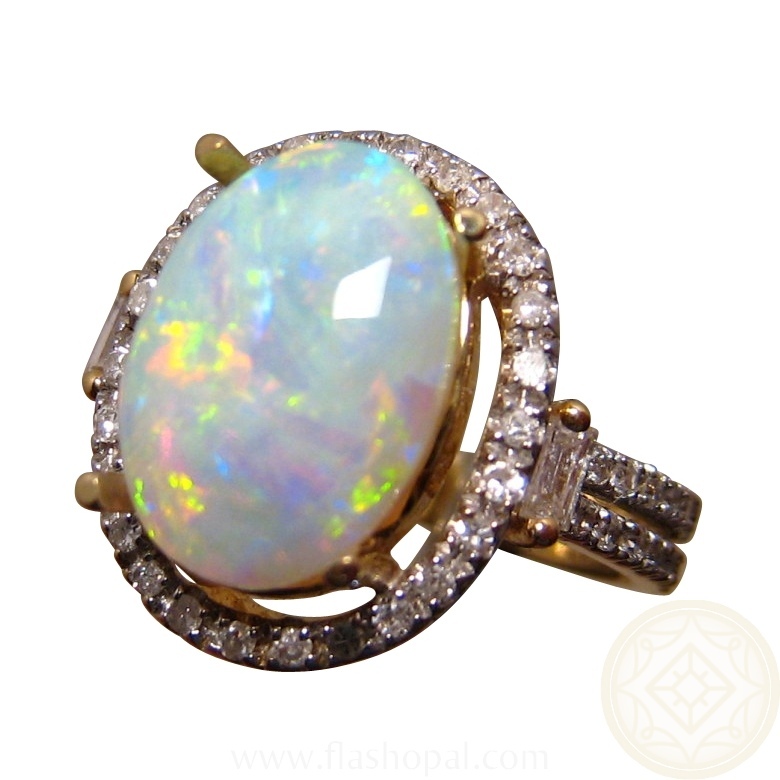 White Opal Ring with Diamonds in Gold for Women. 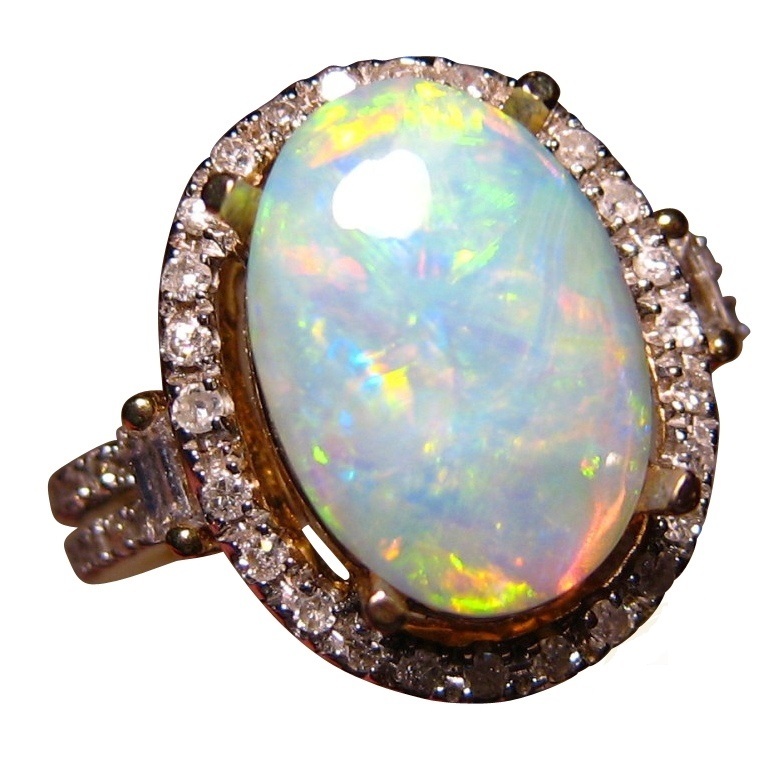 14k Gold Ring prong set with one Coober Pedy Semi Crystal White Opal with. 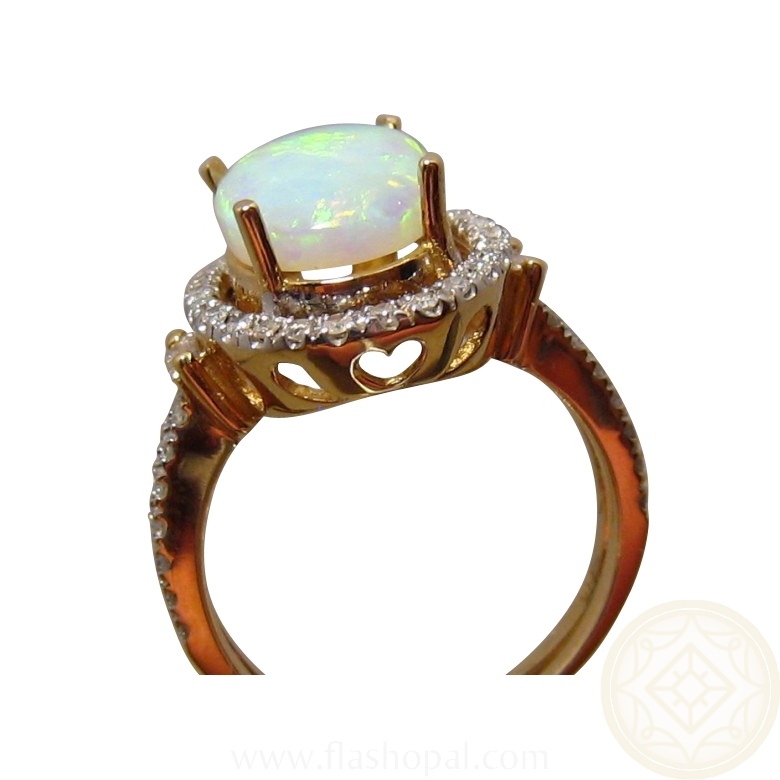 The Opal is surrounded by small Diamonds which continue down the band in two sections and Baguette Diamond accent on the top of each band. There are cut out hearts in the Gold setting that sits on the finger. This ring is not in stock but may be able to be Made to Order. Contact through this product to ask about availability.